No more need to refer back to the markdown syntax on Daring Fireball, just invoke the Orion editor’s standard content assist (Ctrl+Space) to see the available md and gfm templates. More warning types are under consideration. Outputs the preview pane’s HTML content to a file. 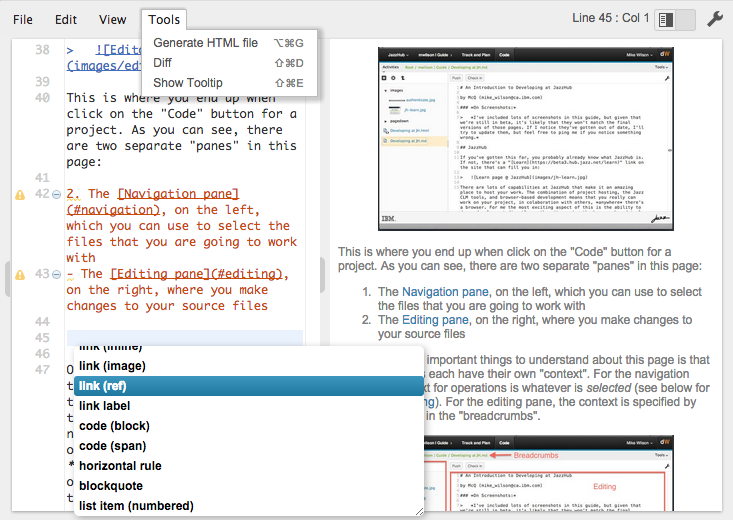 Looking for a reliable place to author your markdown documents? Check out OrionHub! As always, we also want to hear your Feature Requests and Bug Reports.